Hello again, everyone! You may have noticed that I’ve been MIA over the past week, but boy, has it been busy around these parts! I’m proud to say that during that time, we’ve now become official owners of a grill and a lawnmower. Does that not make us homeowners or what? We had my parents and aunt & uncle visiting us for the first time in our new home last weekend and we were able to break in the new grill with them. We received some helpful grilling tips from my dad and uncle and savored every bite of our perfectly grilled salmon and steaks for dinner. 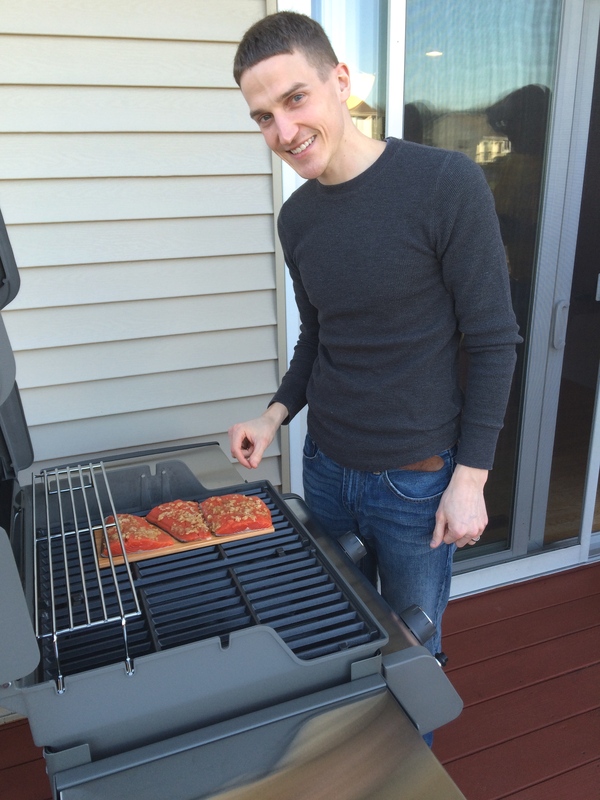 Nothing beats the smell of grilled food…except maybe freshly cut grass if you’re my husband. He said he had to pause a few times while mowing this weekend to inhale breathe in the smell. It’s the small things in life, right? You know what else is just as simple and refreshing? 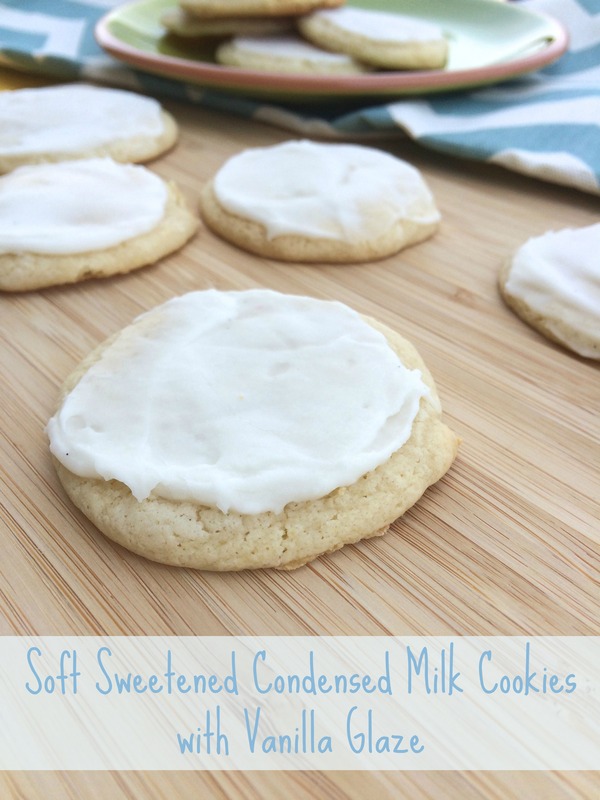 Having the windows and patio door open with a slight breeze blowing in, hearing birds chirping away while you whip up a batch of Soft Sweetened Condensed Milk Cookies with Vanilla Glaze on your day off. It’s the simple things, I tell ya! It was utter bliss. I normally have some music playing in the background while I bake, but it was just too peaceful to cover up all the natural sounds with anything else. Plus, having the time to make cookies just because I wanted to was amazing. Well, actually, like anything else, I just made the time for making cookies, I suppose. Cookies must take priority, in my opinion. You may (or may not) be thinking to yourself, “more cookies, Kara? !” But these are just too good not to post right this very instant. I promise I’ll be posting more good-for-you meal recipes in the near future. But even though these cookies really aren’t healthy at all, to be honest, I feel so much better eating a homemade cookie than a mini Twix or Snickers because at least I know everything that went into the cookies. I know that they’re made with real food and don’t have any preservatives hidden away in them. Plus, these taste so much better than any store bought cookie, candy bar, or packaged cake. Trust me. 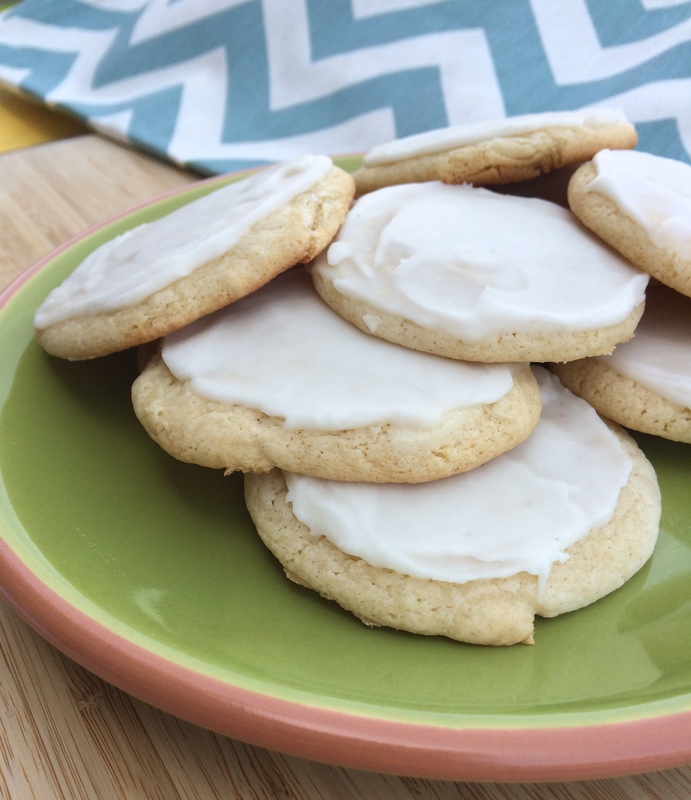 If you have a sweet tooth and need just a little somethin’ to cap off a meal, I think these cookies will suit just fine. 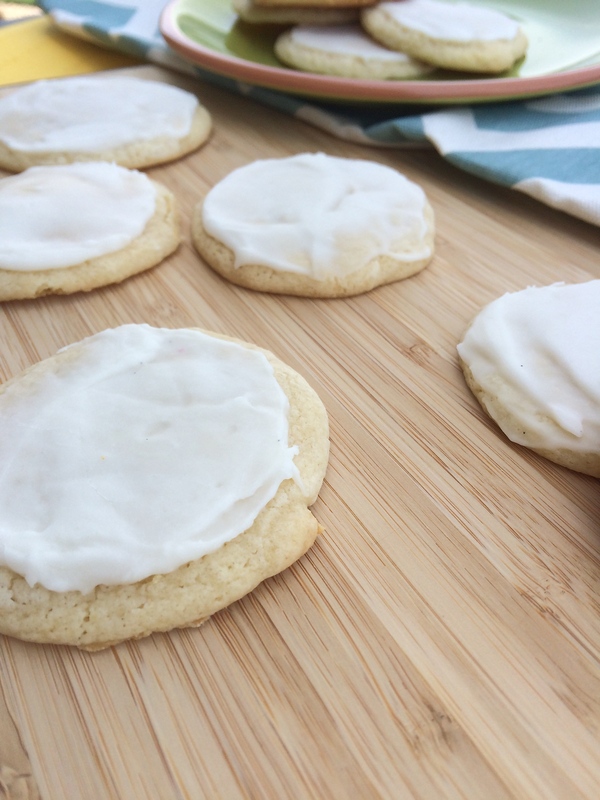 Go make these refreshingly simple cookies and maybe you’ll find yourself enjoying the small things in life, too. Cream the butter; add the sugars to the butter and continue to cream until well blended. Adds the eggs, mixing after each egg. Mix in the milk and vanilla. Mix together the flour, baking soda, and salt. Slowly add to the wet mixture. Cover and chill dough in the refrigerator for at least 1 hour. Preheat oven to 375° for 8 — 10 minutes. Cookies may be just turning brown on the edges, but for the most part, will still look not done. 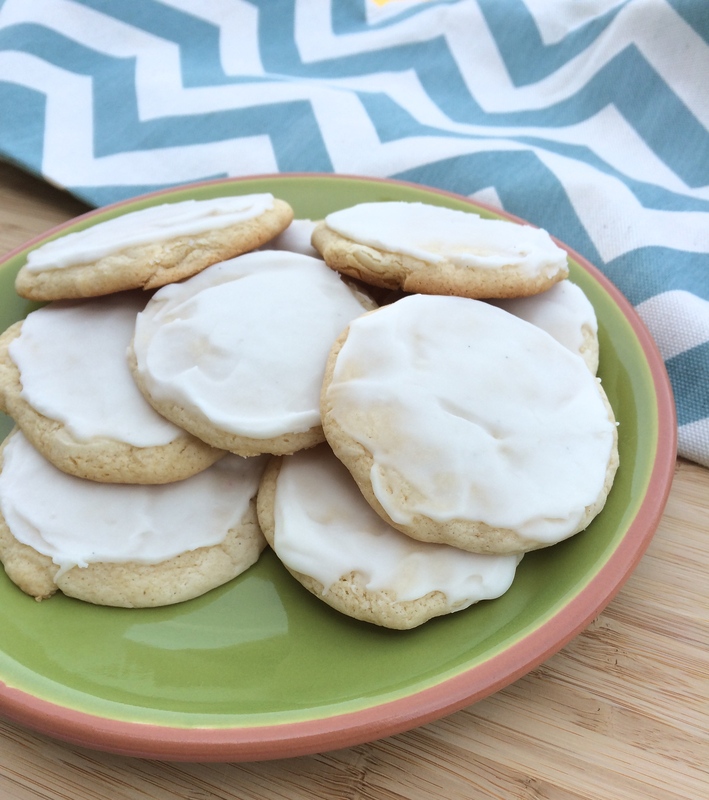 Let cookies cool on the cookie sheet for 2 minutes before placing on a cooling rack. While cookies are baking, mix together the glaze. Mix the butter, powdered sugar, and vanilla together. Stir in the water until you come to your desired consistency. I prefer the glaze on the thicker side to stay on the cookie more easily. 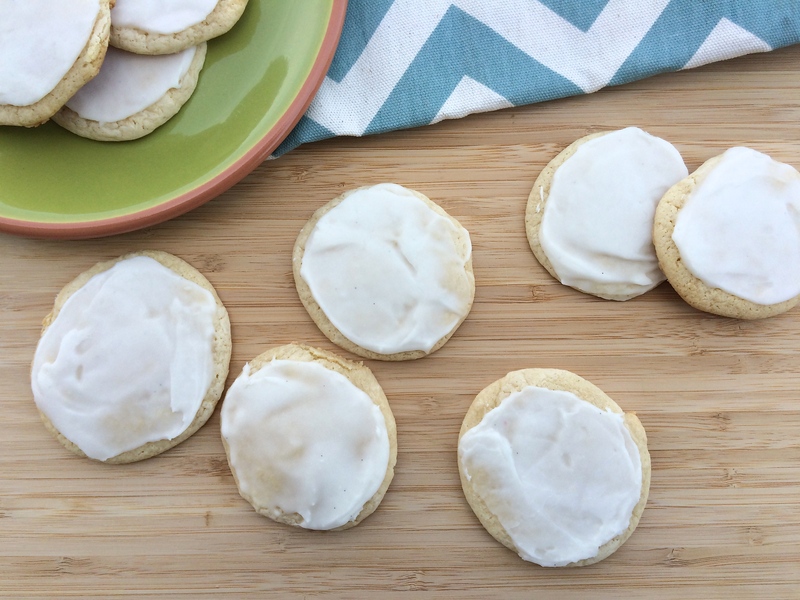 While the cookies are still warm, frost them with the glaze. WOOHOO!! You’re back in action. These look AMAZING. Might just have make them for my next get together!